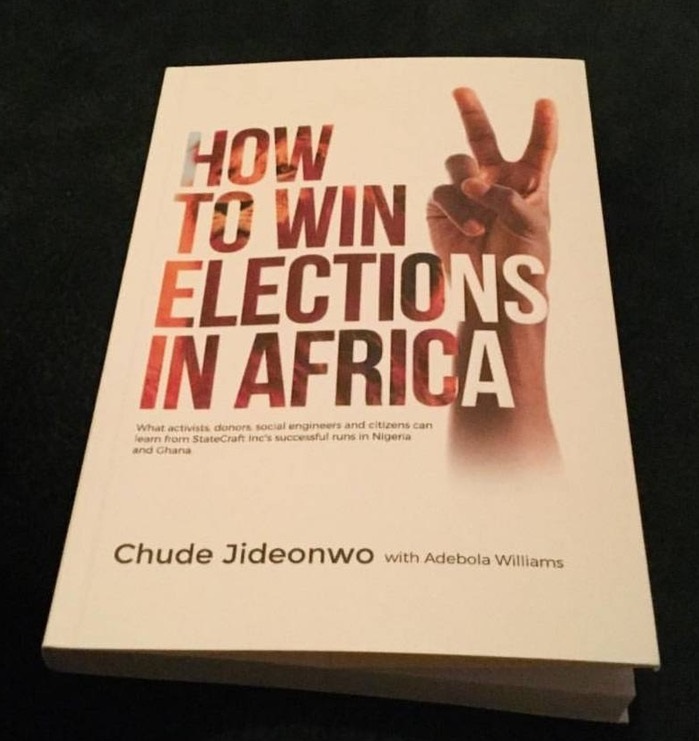 RED co-founders, Chude Jideonwo and Adebola Williams yesterday unveiled the cover for their forthcoming book – ‘How to Win Elections in Africa: Parallels with Donald Trump’. Scheduled for release in November, the book chronicles the ideas and ideals imperative for Africans and friends of the continent to champion a new democratic endeavour through active citizenship. It draws credence from three anti-establishment election victories – in Nigeria and Ghana - where StateCraft Inc., a nation-building company under RED, played key roles. 'How to Win Elections in Africa' catalogues StateCraft Inc.'s deep experience with media management, youth mobilization and communication across key African regions that enables it to identify the opportunities and shortfalls of our democracies. It reflects our experiences in Nigeria, Ghana, and other countries while analyzing and debating the roles and actions of key actors in democratic processes around the world. The book is published by Farafina, with cover art designed by award-winning visual artist, writer and photographer, Victor Ehikhamenor. The cover art features an image of a hand flashing a victory sign with a bold title text all on a white background. The new book follows the success of ‘Are We The Turning Point Generation?’, a collection of socio-political essays authored by Jideonwo spotlighting the role of young people in engineering lasting change in a rapidly evolving world. To book ‘How to Win Elections in Africa’ in advance, interested buyers are advised to emailbooks@statecraftinc.com with their phone numbers and preferred drop off location across Nigeria.